Former state representatives, from left, Pat Ownbey, Josh Cockroft and Bobby Cleveland became lobbyists after serving as legislators last session. Oklahoma Ethics Commission records show former Reps. Pat Ownbey, Josh Cockroft and Bobby Cleveland – all Republicans who served in last year’s legislative class – registered as lobbyists within weeks or a few months of finishing their terms in mid-November. Another former lawmaker, Rep. Kevin Calvey, R-Oklahoma City, who is now an Oklahoma County commissioner, registered as a lobbyist in January and then terminated his lobbying for an anti-abortion group earlier this month after concerns emerged about whether an actively serving elected official should also be a lobbyist. Since Oklahoma is one of the few states without a mandatory waiting period of any time before lawmakers can become lobbyists, the career changes are all legal. But the so-called “revolving door” of lawmakers becoming lobbyists almost immediately after leaving office has been under increased scrutiny since the Ethics Commission tried to add the cooling-off period last year. The commission first passed the rule in February 2018 on a 5-0 vote. Supporters argued the two-year waiting period would reduce the potential for conflicts of interest to emerge from lawmakers who are thinking about becoming lobbyists and prevent lawmakers-turned-lobbyists from having undue influence over their former colleagues. But the Legislature shot down the plan in May, rejecting a series of ethics rules that included the cooling-off period. Ethics rules take effect unless the Legislature votes to reject them. Cleveland, Cockroft and Ownbey were among those who supported throwing out the rules. Cockroft, who who took a job with the Oklahoma Association of Realtors, and former Rep. Pat Ownbey, R-Ardmore, now employed by Gap Consulting and registered to lobby on behalf of the Oklahoma Board of Nursing, the Oklahoma Banking Department, Oklahoma Department of Consumer Credit, the Independent Finance Institute, the Community Bankers Association of Oklahoma, Oklahoma Energy Producers Alliance, Association of Professional Oklahoma Educators, John and Donne Brock Foundation and the Oklahoma Pharmacists Association, did not respond to Oklahoma Watch requests for comment. Gov. Kevin Stitt has made agency lobbyists a focus of his administration. Soon after taking office, he ordered state agencies with contract lobbyists to provide him information about the arrangements and copies of the contracts. This would appear to affect several of Ownbey’s clients. Cleveland, who lost his primary election last year and is now lobbying for the Oklahoma Corrections Professionals association, said he sees no problem working as a lobbyist shortly after leaving office. Cleveland added that he has not heard any concerns from his former colleagues while he has been lobbying this year. But some lawmakers support a cooling-off period. 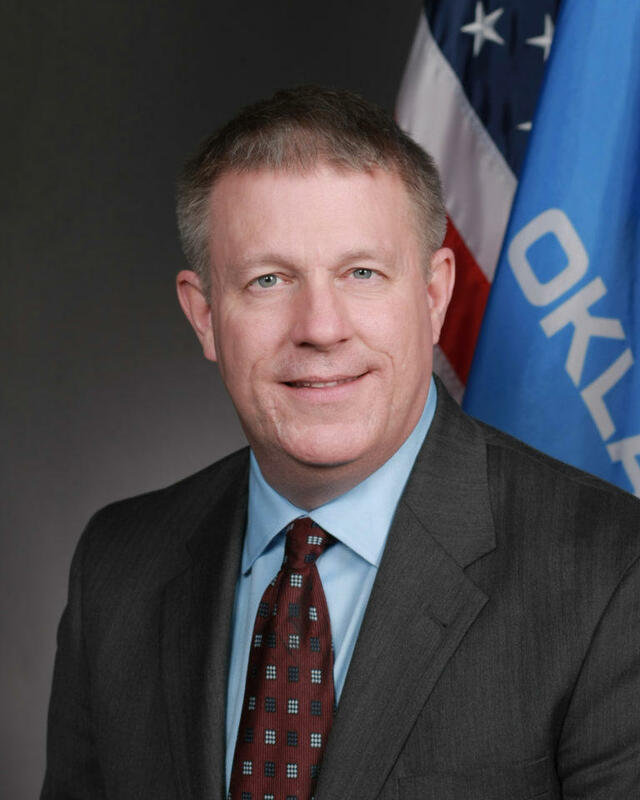 Rep. Tom Gann, R-Inola, is among those who spoke out in debate and during the Oklahoma Ethics Commission public hearing in support of the rule. This year’s Legislature, which features a record freshman class making up nearly 40 percent of the body, will get to vote on the rule again. The Ethics Commission again approved the cooling-off period in September. Gann said he hopes lawmakers look at the rule differently this year. He said legislators need to realize that even the perception of impropriety should be taken into account. The rule would grandfather in lawmakers currently registered as lobbyists, which means Cleveland, Cockroft and Ownbey wouldn’t be affected. Cleveland said based on what he’s heard, he doesn’t think there will be a different result this year.